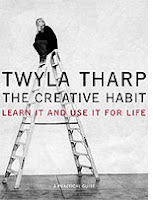 I have never read a book about creativity by a non-writer, so renowned dancer and choreographer Twyla Tharp's The Creative Habit was a real revelation to me. So refreshing to hear from someone who deals in something other than words - an artist in her 60s who has choreographed over 150 dances - and to see so clearly how I can learn from her in terms of setting myself up to be creative on a daily basis, something I sorely need. It has been years since I was last in that kind of routine - not since my MA in Creative Writing. I just haven't managed, as a writer of short and very short stories, to set myself up properly, and as a result I feel highly unproductive, uncreative, dissatisfied. Something Julia said last week on her blog about her NaNoWriMo experience struck a chord: " I am calmer, more purposeful. This feels like a job now. I go to work and actually manufacture something." This is the feeling I want, the feeling that this is my job, that I am making something. "Some people find this moment - the moment before creativity begins - so painful that they simply cannot deal with it. They get up and walk away from the computer, the canvas, the keyboard; they take a nap or go shopping or fix lunch or do chores around the house. They procrastinate. In its most extreme form, this terror totally paralyses people. The blank space can be humbling. But I've faced it my whole professional life. It's my job. It's also my calling. 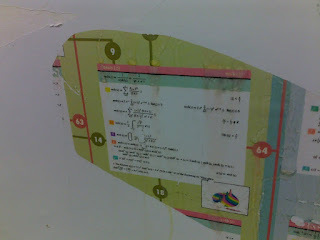 Bottom line: Filling the empty space constitutes my identity." Yes. I hear that. All of it. When I read the above I thought, This person can teach me something. And I was right. With chapters entitled "Rituals of Preparation", "Your Creative DNA", "Before You Can Think Out of the Box, You Have to Start with A Box", and "Ruts and Grooves", I started learning, in just one day's reading, a whole host of new ways to set up the Creative Habit. 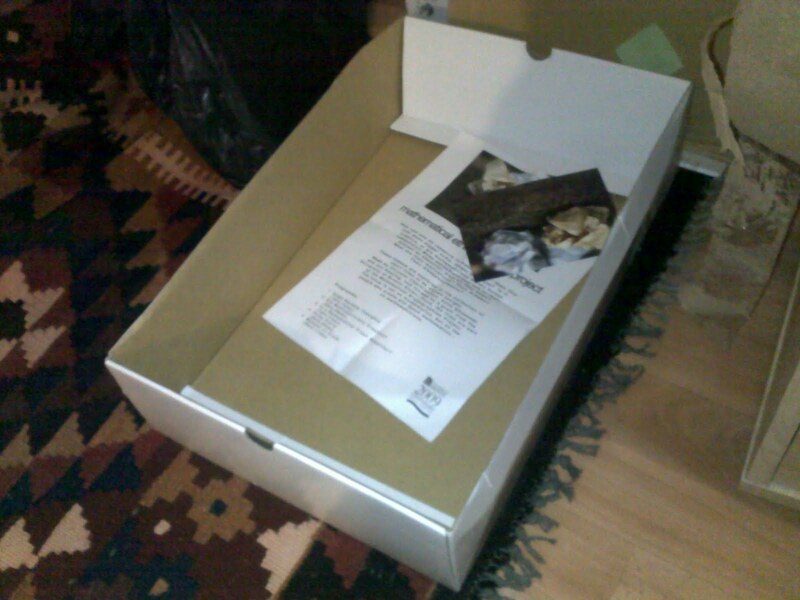 I especially love starting a new box for each new project and filling it with the things that inspire, so I have begun a box (an old shoe box) for my new fiction-writer-in-residence position at the University's Science Faculty and have in it the program from last week's showing of five films made by the Faculty interviewing mathematicians. Inspirational. Now that I have my box I feel like something will come of this, that it is in some way "official" in my head, regardless of the outside world. And I love the idea of being able to rummage through the box in search of new inspiring material. What a great idea! There is a great deal more wisdom in here, never passed on in a preachy or insistent tone, but gently yet firmly. This is someone who knows what she does, how she does it best and why. An ideal present for anyone who wants to do anything with a passion. I am off to read it again. And again. So no, you can't borrow my copy. Get your own! I couldn't be happier that this is becoming a vibrant and exciting series, the guest blog posts on Writing & Place, how where you are affects you as a writer. 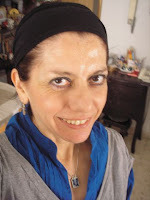 I am delighted to introduce Nora Nadjarian, a wonderful Cyprus-based poet and writer, author of the short story collection Ledra Street; we "met" when we ran a review of her book on the The Short Review. Nora has just entered the blogsphere, so do pop along to bettyboopinspired and welcome her to this craziness (as well as finding out the story behind her blog name)! I’m sitting on a settee in my living room, in a first floor flat in Nicosia, Cyprus. Nicosia, for those of you who don’t know, is the divided capital of Cyprus – which is an island in the Mediterranean. 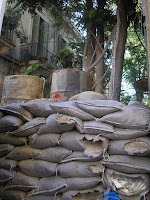 I’ve been living in Nicosia for the past ten years. I am originally from the seaside town of Limassol, and decided about ten years ago that I needed a change. It’s a decision I haven’t regretted. I write poetry and short stories. I have also written a very short play, but lately I’ve been concentrating more on short stories. 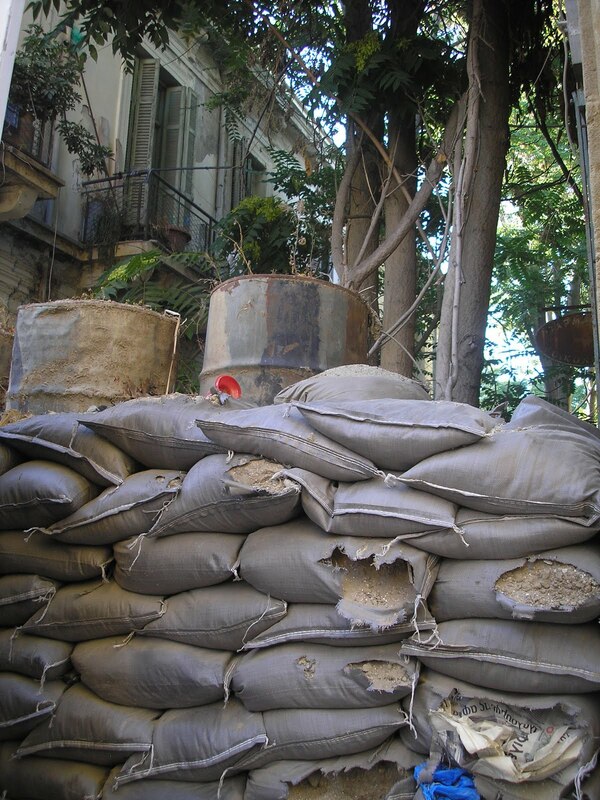 Moving to Nicosia brought me “closer” in many ways to the Cyprus problem, and although I am not at all into politics, I was obviously affected. 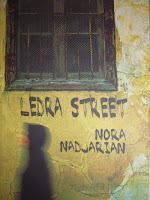 I wrote “Ledra Street”, at least the title story of my book, after having lived in Nicosia for a couple of years. Ledra Street is now a thriving shopping street, but ten years ago, around the time when my story was written, Greek Cypriots could not cross over to northern, Turkish-occupied Cyprus. I always thought it was tragic that the street “stopped” at some point, and all you could do was look at the rest of it which fell into the UN buffer zone. On April 3, 2008, the Ledra Street roadblock crossing was reopened after 44 years. We like to think of it as our Berlin Wall. If I hadn’t moved to Nicosia, the story (and subsequently, the book) would never have been written. 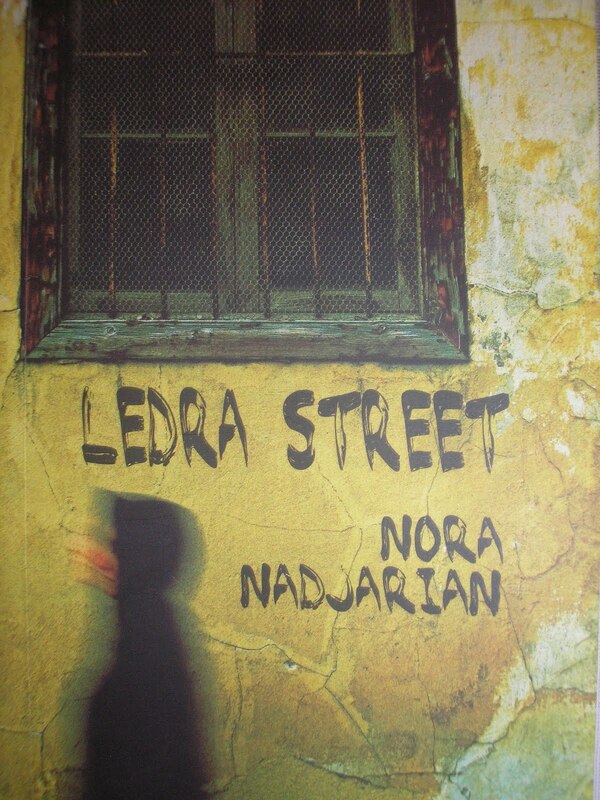 I had written and published poetry before, but I always consider the story Ledra Street as the beginning of my writing career. I have also always been moved by stories of exile, of longing, of losing your space, of having to start all over again, because my grandparents were refugees from another country. I wish I had recorded the stories they told me. I am an Armenian Cypriot, I was born in Cyprus and I am happy about that, I love Cyprus, I am a Cypriot. But my soul is Armenian. All the feelings of love and loss and pain, and the general sadness which comes out in my stories I can attribute to the fact that I am Armenian. A lot of my early stories were set in Cyprus, but I have recently been moving away from that. In many ways writing about Cyprus or setting my stories in Cyprus started getting a little “claustrophobic” after a while. I am not suggesting we forget about the past, but there is a tendency here, on both sides, to dwell on the Cyprus problem and turn to it for inspiration, if I can put it that way. I believe my work is well received abroad too, because it just hints at the problem or tries to present it in an original way. 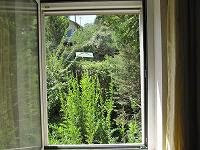 I used to think that because I was writing about Cyprus nobody would be interested or be able to follow. But readers are very clever. You don’t have to tell them too much, they can just feel what you’re trying to say, more so if you do it subtly. People who had no idea about Cyprus have read between the lines in my stories, even wept at readings I have given in places as remote as New Zealand! I’m sure I have touched people’s lives in that way, and it gives me a sense of satisfaction. So, where I am is “here” reaching out to my reader who is often “there”, and we connect through words, poems, stories. I also find that communicating with other writers through the Internet has been so important for me. It has kept me going at times when I have almost felt like giving up. I am a bit of an oddity, being Armenian Cypriot and writing in English. Many people ask me why. The reason is that I was educated in English from the age of about eleven. I also studied at universities in the UK and so I consider English to be my academic language, and when it comes to writing it is certainly my most creative. I once told someone in an interview that I felt my writing was my home, my own special place, that I could do anything with- and I still feel that way. I write because I love writing, and if it comes out best in English, why should I give reasons to anyone? I went to a brilliant conference in Brussels last year, where I met a Spanish-Basque author writing in Dutch, a Romanian author writing in French and an author of Turkish origin writing in Danish! There’s some wonderful work out there by authors writing in a second language. Tania, thank you for giving me the opportunity to put these thoughts down. I’m really interested in your other guests’ opinions, too- It almost feels like we are all somehow, somewhere in the world, writing the chapters of a single book. Nora, thank you.... another fascinating look at how where we are affects who we are, why we write, what we write. I am in awe of writers writing in second, third or even fourth languages. I can barely manage it in English. Maybe this could be a book, some day, what a lovely idea. Visit Nora's blog at bettyboopinspired and read more about her collection, Ledra Street, on The Short Review. As always, if you are inspired to send me a guest blog on Writing&Place, please do! It's just wonderful to know people who win things, especially things as fabulous as the Bridport Prize for short stories, which receives thousands of entries every year. Last year, my great friend Elaine Chiew was the winner, the year before, Vanessa scooped second place. And this year I am delighted to see three names I know in the winners of supplementary prizes: huge congratulations to Anna Britten, Nicholas Hogg and Teresa Stenson! And there are more familiar names in the shortlist: Jill Widner, Carolyn Jess-Cooke, Kate Clanchy (whose stunning VS Prichett prize-winning story I just read in Prospect), D Norris. Of course, enormous congratulations to the winners, Jenny Clarkson, Natasha Soobramanien and N Nye, it's a fantastic achievement, especially with a judge whose short stories are as breathtaking as Ali Smith. This makes me very very very happy. It says something about the status of flash fiction, for one, since this is the world's richest open writing prize (open because it doesn't require an entrant to have been previously published, and it is judged anonymously), and it also thrills me personally since flash fiction is what I love to write and love to read - and it takes the pressure off all those of us who don't write stories that are longer than 1000 words or so. The judge hasn't been announced yet... will keep you updated. Yippee!! Addendum: I just saw that Regi Claire, whose short story collection, Fighting It, we reviewed in The Short Review and who is published by Two Ravens Press, is shortlisted for the Saltire Scottish Book of the Year Awards, Scotland's major literary awards, alongside AL Kennedy, whose short story collection What Becomes is on my review pile, and Janice Galloway, whose Collected Stories is also waiting for me. Congratulations, Regi, and more power to the short story! 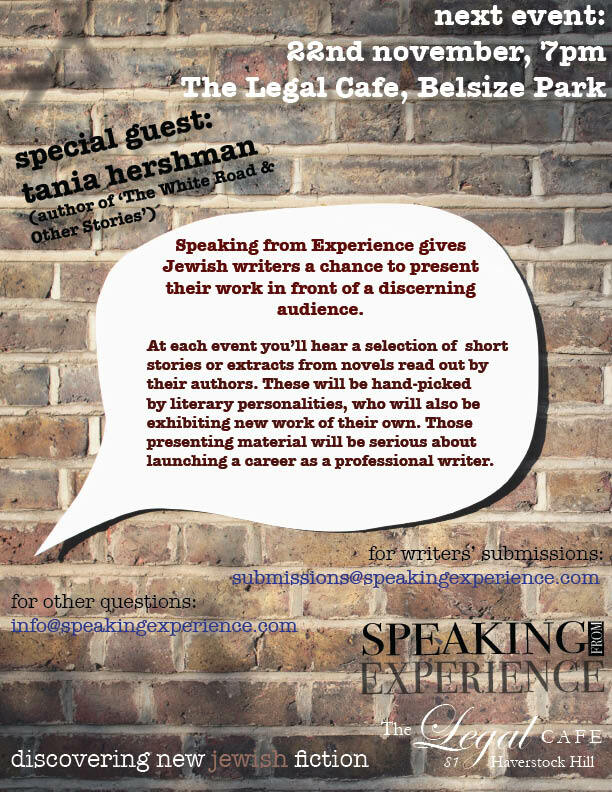 Speaking from Experience is a new event aimed at encouraging unpublished Jewish writers. I've been invited to be the guest at the first event, which is a great honour, I am in favour of anything that inspires any writers to write. I'll let you know more afterwards, am taking some of my books, in case I might inspire anyone to purchase! I've been having a wonderful two weeks, rushing around to lit events like a kid in a sweet shop (or me in a sweet shop! ), all of it reinforcing that this country is the right place for me right now. It hasn't left me much time for blogging, or reading other people's blogs - apologies for that. I won't make this a very long post (famous last words). So, where have I been? Two weeks ago I flew to Ireland for the Waterford Film Festival awards evening on Nov 8th. I knew my screenplay, which I adapted from my short story, North Cold, was one of 20 finalists for the short screenplay award, but didn't know whether this was 20 out of...30? Well, I was delighted to find out it was 20 out of 100, and although I didn't win, we each received a certificate and it feels like a great stamp of approval for me for my first foray into writing film scripts. Sadly, I didn't manage to see any of the films at this wonderful, small but dynamic festival, hopefully next year. Waterford seemed like a place I'd like to spend more time, too... but there never is enough time, is there? I am loving adapting my own work - have adapted two other stories into short plays, and one is shortlisted in a 6 minute play competition and will be performed in London in January. I won't have any input into the performance, and am eagerly and somewhat nervously anticipating the evening. Will let you know more details when I have them. Ok, so returned from Ireland on the Monday, and on Tuesday afternoon I dashed off to London to meet my fellow science-in-fiction-loving-friend Sue Guiney, and together we went to an event at the National Maritime Museum entitled Poems of Space. Renowned astronomer Dame Jocelyn Bell Burnell has been collecting poetry about space for many years and talked us through what poets like to write about space (black holes, radio telescope arrays) and what they don't like to write about (telescopes on satellites, I think!). She is one of two editors of an anthology of poems on space called Dark Matter which I picked up a copy of. 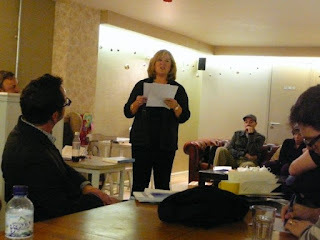 What made her talk wonderful was that at the beginning she asked anyone who would like to read to take a copy of one of the poems she had printed out, and at certain points during her talk would mention the title of one of them and the audience member stood up and read. (I read Halley's Comet by Stanley Kunitz, one of the funnier poems of the evening.) This audience participation made it feel much less like a lecture than an intimate discussion. Joining Dame Jocelyn on the panel after her talk were my blog friend Pippa Goldschmidt, an astronomer, writer in residence at the Genomics Forum in Edinburgh and blogger about science and fiction topics at The Write Reality, and Kelley Swain, poet-in-residence at the Whipple Museum of History of Science in Cambridge. It was wonderful to meet both of them, we will be getting together for more talk about science-inspired fiction soon, I hope. The whole evening was an inspiration, both to hear the poetry written about scientific themes, and to meet two writers-in-residence in science arenas. More on that later! After a day's break, I was travelling to London again, this time invited by Jewish Book Week (yes, it's more than just one week) to spend the afternoon talking about short stories with pupils at a London secondary school. I was pretty nervous - firstly about getting up in time for my train (!) and secondly because I was going to do a flash fiction workshop with Year 9 kids and what if they sat there in complete silence, refused to write, refused to participate? Well, transport did fail me - FirstCapital Connect was on strike in London, but they weren't going to divert me from my purpose and I managed to arrive on time, nevertheless. And, secondly, my classes went wonderfully well, it was a joy and a boost for me.The first class of around 30 or so Year 9 kids seemed to really enjoy the flash stories of mine that I read - expressing surprise that so much could be said in so few words, which was, of couse, the point. And then they picked some prompts, and we all wrote flash stories, even the teacher! Then: lunch and a tour round the school, a Q&A session with a group of kids in the library during which I was asked the fascinating question, What are your hidden talents? To which I replied: Parking. I am very good at parking. And finding parking spaces. They weren't so satisfied with that so I had to reveal that I am a secret hula hooper. And yes, there were a few questions about writing, too. Then a final session with a small group of Year 10 pupils that I had been warned might not be quite as responsive as my first class. Not many hands went up when I tried to discuss what "story" meant to them. This didn't seem to be a room in which it was "cool" to respond, so it took some cajoling on my part, moving away from books to films and even to the idea of story in computer games, which did inspire enthusiastic comments. And I read out quite a lot of my flash stories, which they also responded to very well, it seemed. It was lovely to hear, as I read, that at the beginning of each story there would be fidgeting, a bit of whispering, but by the end, there was silence, which I hope was a good sign. I really enjoyed meeting this class, I felt like the fact that I had been told they might not be responsive but I managed to elicit great responses was really an achievement, and it was great to hear from them, from all the pupils, and not just listen to myself talk. The school bought two copies of my book and I was thrilled when the librarian emailed yesterday to say that a girl who "has never asked to borrow a book before" went in to ask to borrow mine. Very happy! Yes, there's more. The day after, I had a meeting that I initiated with the Dean of the Faculty of Science at Bristol University to discuss the possibility of me becoming writer-in-residence. He was extremely positive about the idea, he is the newly-appointed Dean and has already initiated several arts-science type collaborations, including short films of interviews with mathematicians, and science-inspired photographs. So it looks like this is going to happen and I am very excited! Now I have to go about finding funding for the position, any ideas welcome. I am not sure whether it might just be too much inspiration to be the writer in residence for the entire faculty, all the departments and the labs they contain. But it's such a thrill, I can't wait! After that, my head buzzing, a quiet-ish weekend, a wonderful Los Desterrados concert on Sunday night, and then off to London again on Monday. 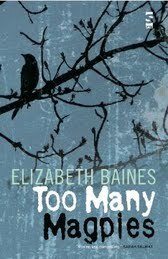 This time for two book launches: Rob Shearman's second short story collection, Love Songs for the Shy and Cynical, and Elizabeth Baines' Too Many Magpies. Rob's launch was great fun, he read a story which was both comical and poignant, and then did a Q&A with his publisher where we learned about his odd writing habits (Tooting Common, 3am)! A lovely writerly dinner afterwards with Vanessa Gebbie, Elizabeth and her partner, John, and Adam Marek and back to rest for the next night's launch. The next day: great excitement. I discovered the first London branch of my favourite US clothes shop, Anthropologie. 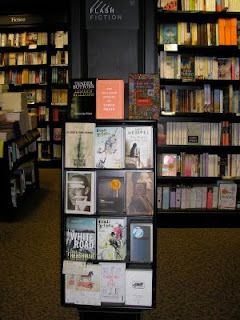 Had a thorough browse, then an excellent meeting with my publisher, Jen, from Salt, more of which in the coming weeks. 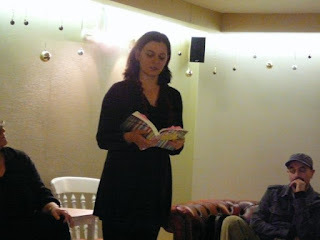 And then Eliizabeth's book launch. I had offered to introduce her, and then she read, beautifully, two sections from her novel, which is magical, dark and moving. It was wonderful to meet writer and blog friend, Debi Alper, another instance of feeling like we knew each other before we met. And great to meet Alex Keegan and see Vicky, Rob, and Sue again. A wonderful evening, left me buzzing. And... yes, that's it. I've had a request from an arts journal in Europe that wants to translate some of my flash stories, which is delightful. And am now trying to find funding for the writer-in-residence position, and thinking about the possibility of other school visits, lots on my mind. But the best kind of mental busyness! All short stories and books and writing and writers... lovely, lovely, lovely. We are back off to London on Sunday for the Speaking from Experience event on Sunday night, which should be another kind of fun. Ok, it ended up being a long blog post, but there was a lot to say! Not going much writing myself, but it feels like I am positioning things, setting things up to get ready for the real writing. The next few weeks seem pretty busy already, which is something that used to freak me out, but it's ok, it's all good. It's all good. I have loads to write about but let me start by saying.. 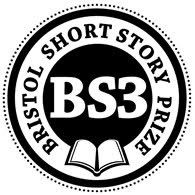 The Bristol Short Story Prize is now officially open - too all writers worldwide! 3000 words maximum - no minimum length, deadline 31st March, seven pounds per story. Prizes: 1st-£500 plus £150 Waterstone’s Gift Card, 2nd -£350 plus £100 Waterstone’s Gift Card, 3rd -£200 plus £100 Waterstone’s Gift Card. Each of the 17 remaining shortlisted finalists will receive a cheque for £50. I am one of the judges but it is all strictly anonymous, so please send your entry in - the earlier the better. Also: the max word count is 3000 but there is no minimum and I have it on good authority that this is really true. No need to bump your story up to 2999 words, just send in a great story, and, for me at least, it doesn't matter how long or short it is. I am also one of the judges for the Brit Writers Awards which are also open now, deadline extended to Feb 26 2010. As it sounds, this is an award for Britain-based writers only. Check the website for more details. Short stories (minimum 1,000 and maximum 5,000 words), there are other categories too, so check out the website. For an admin fee of 10.95 pounds, you can submit as many entries as you like! I owe this blog a proper post but it's probably a good sign that I've been too busy - with writing-related doings, of course! In the meantime, I have a guest blog post on the excellent Strictly Writing blog today, where I come clean about my failure to leave a new story long enough so that I could see what it needed doing. Finally, I wrote a 1000-word story. I was excited to have something “long” (yes, you may snicker). I was so in love with the voice and the language, I thought it was great. 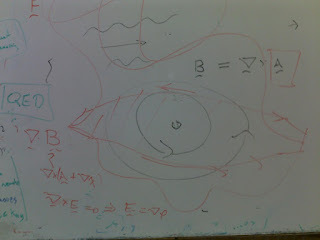 I gave it to my writing group for critique, they spotted places where more information was needed but didn't give any “big picture” comments. So I thought, wow, that was quick: a finished story, and swiftly dispatched it to several competitions. Read the rest of the blog post here. Does this happen to you too? Short Circuit - win a copy of the indispensible guide to the short story! Short Circuit is the first textbook written by prize-winning writers for students and more experienced practitioners of the short story. The 288 page guide brings together twenty-four specially-commissioned essays from well-published short story writers who are also prize winners of the toughest short story competitions in the English language, including five essays from winners of The Bridport Prize. There are interviews with Clare Wigfall, winner of The National Short Story Award — and with Tobias Hill whose short story collection won the PEN/Macmillan Silver Pen Award. 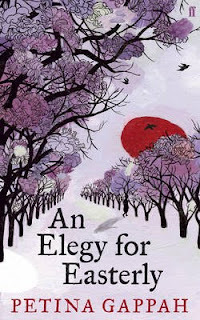 Go win yourself a copy, the three questions are easy for any short story lover - or very Googleable! And if you don't happen to be the lucky one, then it's available from Salt at a 20% discount right now. You won't regret it. Watch this space, and the Short Review blog, for more. 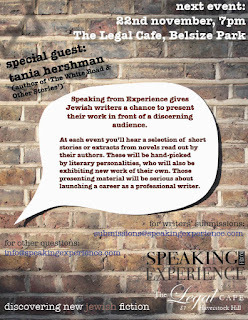 Speaking from Experience gives Jewish writers a chance to present their work in front of a discerning audience. At each event you’ll hear a small number of short stories or extracts from novels read out by their authors, hand-picked by literary personalities, who will also be exhibiting new work. Those presenting material will be serious about launching a career as a professional writer. If you want to submit a piece, e-mail: submissions@speakingexperience.com If you just want to come and listen: Please do! For any queries, contact: info@speakingexperience.com The event will be at the The Legal Café, Belsize Park, 81 Haverstock Hill, NW3 4SL. I was surprised and delighted to have been asked to be the "literary personality" who presents the work for this first event, alongside some of my own work. I don't in any way think of myself in those terms, and have never considered myself a "Jewish writer" in as much as my characters are almost never Jewish, but thinking about it a little more, I can see how my stories might be seen to have Jewish themes. Anyway, as the great Janice Galloway said at the Small Wonder festival a few weeks ago, it is not for the writer to put labels on her work, that is for the marketing people! I am happy to be involved in anything that stimulates new writers, and gives them voice. Please do submit, and perhaps I will see you there. RF: I'm sitting in my bedroom, with the curtains drawn (all white but for a chest of antique drawers, a bookcase, a 1960s school desk and two of my paintings), in a cedar house in a suburb of Auckland's North Shore, ten minutes from the beach and five from a little piece of bush. I am in my own gallery installation: art in a white box. RF: I left the UK in the summer of 2007, arriving into an Auckland winter with one bag of clothes and a realisation that our shipment of belongings was heading for the wrong place – we were meant to move to Wellington but I got cold feet and the one move we had done felt suddenly enough. I have lived in this house for two years exactly. RF: I write novels and short fiction mostly but I also write poetry (and I paint – painting and writing go very much together for me). I write about women and the ordinary or often overlooked “others”. I am fond of an underdog. I am attracted to tragedy and the potential for depicting tragic scenes in an aesthetically beautiful way. TH: How do you think where you are affects what you write about and how you write? RF: As someone who has always felt like an outsider, out of the loop in many ways, I am fascinated by “otherness”. This used to manifest itself primarily in my writing with a preoccupation with women as marginalised others but now I write about wider concerns as well. Since I came to New Zealand I have been feeling very English, which is both understandable and perplexing, insomuch as I never felt very at home in the UK. I am from a small Yorkshire mining town which lost its identity some years ago and for a while it felt as if this fading, bleaching out of heritage if you like, was happening in reverse, to the residents of the town – me included – that we were losing any ability to forge a positive identity or carve a future prospect, if that makes any sense? I was not accepted within my “home” town because I didn't have the right accent and hung around the periphery: a shy observer misinterpreted as aloof and standoffish perhaps, in any case I wanted to leave. Similarly, I felt class distinctions and a growing “Daily Mail” mindset was making other parts of the UK less attractive as potential homes. Essentially I wanted to be an observer of the UK rather than a participant. This comes across in much of my longer fiction: my characters are often leaving or returning to places of significance or alienation. I think I have an empathy for the displaced and what I like to call the “misplaced”, those who, for whatever reason, are not at home in the place society most expects them to belong. I have had an interest in post-colonial writing for some time now and coming to live in New Zealand has really brought this to the surface as far as my own writing is concerned. I have real trouble with the prefix “post”, I do not think we are “post”-colonial: post suggests we are past it, that we have moved beyond colonialism. 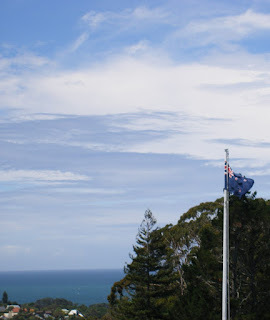 I recently travelled to a remote town in South Island to research for my current novel in progress and was really struck by a comment one local made, with regards to other locals not wanting to chat to me for my research, that if I had said I was from Yorkshire, not Auckland, they would have been more keen to speak to me. Am I now an Aucklander? In Auckland I was called a “white whore”. Where is this place? There is more than one breed of kiwi: I am discovering there are many New Zealands. Since moving here I have stopped working to write full time but have also had a second child. My writing work habits are very much dictated by my children (my daughter is eight and my son is fourteen months). Through the week, I write when my daughter is at school and my son is napping, and in the evenings. At weekends I write for up to twelve hours a day. I have adapted to make the most of these hours and circumstances. We spend more time outdoors in the winter in New Zealand than we did in the UK and my fiction does seem to have decamped from the domestic to the great outdoors, too. I carry a notebook with me at all times and scribble down stray ends of conversations or anything which takes my fancy – I take lots of photographs, too. I am in a peculiar position of feeling familiar with my surroundings – able to write about them with knowledge – yet feeling, still, very liminal and noticing things anew. It is, for me, a very useful tool, to be both objective and caring, for a writer – and a human. Most crucially, I have discovered that “home”, for me, is an abstract: I carry it with me, within me. New Zealand, geographically, is very different from the UK. New Zealand (the parts I have experienced) on balance with the UK, is not so different. The real revelation for me is that I could live anywhere, but I don't need to. What I am discovering is that difference – real difference – is rare. Thank you so much, Rachel, for sharing your thoughts on writing and place with us, and the gorgeous view - it's fascinating for me to hear from another expat writer discussing what and who they are and where they are. Read Rachel's excellent blog, Snow Like Thought. As always, anyone who wants to contribute a guest blog post, drop me an email! I am feeling less of a need to blog right now, which is interesting. 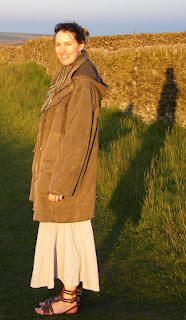 It seems to be something to do with the fact that more people are reading my blog, so maybe I am feeling a little shy. Also, it probably has to do with feeling unsettled, still, as I talked about on Petina Gappah's blog the other day, and unsure about my words. I am finding myself doing in English what I used to do in Hebrew, which is rehearsing what I am going to say before I say it, for example to the girl at the desk when I went swimming this morning. I found myself practising in my head how to ask her whether I am on the mailing list... but it's English. It's supposed to be my native language. How odd! I guess here it's not the words that are the problem, which was often the case in Hebrew, even after 15 years, but the tone of the request I wanted to make, the cultural framing of the question, how formal to be, how informal and chatty? I need to re-learn all of this. So that's perhaps why I've not been blogging much. What I have been doing is going to hear people talk about short stories, which is heavenly! Last week I spent two nights in Lancaster with a great writer and friend, Carys Davies, who was chairing a short story session at the Lit Fest with another great writer and friend, Alison MacLeod, author of 15 Modern Tales of Attraction, and Panos Karnezis, whose short story collection, Little Infamies, came out in 2002. First, the room was set up cabaret-style, with tables and chairs rather than the audience in rows, which made for a great atmosphere. Second, each author read a complete story, which is such a treat nowadays, when often even short story writers only read excerpts. The authors came and chatted to people in the bar afterwards, so there was none of that Us and Them that accompanies some literary festivals where the authors sign, sign, sign books and are then whisked away to a Special Area. Carys and I, and festival director Andy, went for dinner with Alison and Panos afterwards in the brand new restaurant at The Storey, and much lit gossip ensued! 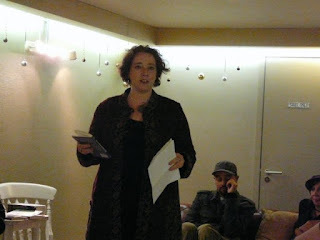 The next night, we went to hear novelists Andrew Miller and Sarah Hall read several excerpts from their new books, an entirely different experience, also very stimulating. During the day in between the two events, Carys took me to Morecambe, which was such a fascinating experience. An English beach resort sounds like a contradiction in terms, and in some ways it is, with an abandoned theme park and some empty arcades filled with video game machines (see some old pictures of how it used to be here). But it also has considerable charm: the recently renovated Midland Hotel is a wonderful example of Art Deco, and has some Eric Gill works in there. And we sat in a small cafe at the far end of the promenade, a modernist box with a wall of glass giving the most fabulous sea view (plus homemade cupcakes). We sat and we both did some writing, by hand. And this brings me to my next topic. I've been pretty stuck recently, not knowing what Big Project I am working on, not really feeling focussed, productive. So, I decided to try something new: writing longhand in a Moleskine notebook (thanks, J!). It's only been a week, but I am really enjoying the change, writing in a cafe with no laptop in front of me to block the view, to form a barrier between me and everyone else. The process is completely different when you can't move words around, cut and paste, check the word count every few minutes. I also like not having all the stories I've ever written - the published and the unpublished and half finished - looming over me. And... of course... no Facebook with its myriad distractions. Yes, yes, I have my theory about how playing online Scrabble as I write distracts my logical brain, but trying it without has its benefits too. Apparently, one very well-known writer has a large house and she begins writing in longhand in the basement and, over the course of the day, works her way up to the fourth floor where the computer is... And another well-known writer can only write with fresh apples on a wooden table. Ain't it interesting to hear how others do it? The next day, I took the train to Manchester for part 2 of my literary festivities. I wandered around the city a little, once again looking for the ghost of myself there as a Physics student in the early 1990s, searching for a familiar corner, but the city has changed so much, I couldn't find one. But it is fun! The next day, I had a lovely meeting with three writer friends, Elizabeth Baines, Annie Clarkson (who I had never met) and Mel, and more discussion about how we write, what we write, where we write...and about not writing too! And then off to the Short Weekend at the Manchester Lit Fest. 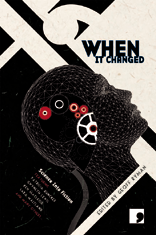 First, a session after my own heart, the launch of the When It Changed - Science into Fiction anthology from Comma Press which brought together fiction writers and scientists in order to encouraged science-inspired fiction. (Yes, I would have loved to have been in it.. but I need no encouragement to get hold of some science, so it was great to see others who'd never tried it.) There was an extremely articulate astrophysicist who made me want to head off to an observatory, and another writer friend, Adam Marek, read the tantalising beginning of his nanoscience-inspired story. Let's hope this is the start of many more science-into-fiction collaborations. I stayed for the whole afternoon to hear a video interview with Gazan writer Atef Abu Saif (who hadn't been allowed out of Gaza to attend, sadly) talking about fiction not being political and about the need to write, and readings by fabulous Irish author Bernard MacLaverty and Iraqi writer Hassan Blasim, who had finally been allowed into England to attend, and who read a story in Arabic, with the translation projected behind him. (I was thrilled to be able to sort of follow the Arabic...!) His short stories have an element of surrealism to them and I really look forward to reading his collection, The Madman of Freedom Square, also from Comma Press. And then, to finish off my day, a reading by Chris Beckett, whose award-winning collection The Turing Test had opened my eyes to the possibilites of science fiction (thank you Roy!). Of course, after dashing off to catch my train, missing James Lasdun's reading, the train was delayed and I nearly missed the last connection from Birmingham to Bristol. But in the end, all worked out well. So, back now with a week before I am off to Ireland to see if my screenplay, adapted from my story North Cold, has triumphed in the Waterford Film Festival's short screenplay competition for which is is shortlisted. Nice to be home. Read the rest of the post here I would love to hear thoughts from other "aliens" in their own homes! I have an interesting topic I'd like to discuss, and would love to know what others think. First, a few words on what I am reading right now. A great blog called Writers Read asked me this a few weeks ago and they have just posted my answer today - and you might be surprised that it's not all short stories, or even fiction! And, to shock you even more, dear blog readers, sometimes.... I just don't want to read short stories. (I know!) Sometimes... I want to have that delicious experience of immersing myself in one story for several hours. I did this yesterday, and in one day read two novels, straight through: Dear Everybody, by Michael Kimball (thanks, Nik, for the recommendation) and the Solitude of Prime Numbers by Paolo Giordano. Both were excellently written, devastating and moving. Both, oddly, dealt with characters who were deeply wounded in some way, and with the themes of disconnection from one's family, but in very different ways. I highly recommend them both. Now, to the other topic I wanted to discuss. I read an article in the New Yorker the other day about a 36-year-old artist who is now the latest Wunderkind (well, slightly older) in the art world for his odd installations (wax sculptures of women that melt as the exhibition progresses; a large pit dug in the floor of the gallery) and sculptures. His works fetch enormous sums of money, in the hundreds of thousands of pounds, and this is mentioned in the Arts articles as if it is simply accepted, a matter of course. So I say this: what is it about "art" of this kind that such sums are demanded and are received but that when it comes to the written word, the situation is so different? Even talking about artists who are not the latest Hot Item, a painting in a small local gallery has a price tag of several thousand pounds. And yet... if I get £10 for a short story, I am thrilled. Here's my question: are we not asking enough for our work? Is it something to do with a sculpture, installation or painting being a "one-off", in some way unreproducable (even though this is not always the case)? Is it that the collector or buyer wants to own the art in a way that you couldn't own a piece of writing? And... is there any way we writers could somehow emulate these artists, by putting our work up for sale instead of submitting it to a journal? Any other ideas, thinking outside the box on this one? Is there a way we might write one-off pieces too, something we can guarantee is unique and unreproducable or - and this is a big question - do people view an object that is made up of words, which are the currency everyone trades in, as far far less valuable, as something they could "probably do themselves if they tried"? I would love to start a proper discussion about this. What do you think? While it is quite common to hear that someone is a poet, novelist and playwright, for example, I rarely hear of someone who is a painter and short story writer. Why the gulf? Is there "art" and then "art"?? I was asked by fellow writer and blogger Michelle Teasdale to talk about what it was like to give up my "day job" and become a full time writer, and I have tried to answer as honestly as possible over at her blog. You have to write the best six-word story. Five words will be regarded as woefully short, seven as a rambling epic. And the prize? A signed copy of Lisa Glass’s debut novel, Prince Rupert’s Teardrop. Deadline Oct 31st. 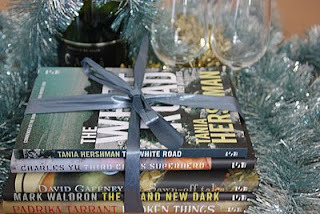 Visit How To Write A Novel to win. Canongate has very kindly given The Short Review five copies to give away of Rebecca Miller's short story collection, Personal Velocity. Visit the Competitions & Giveaways page and answer the pretty easy question for the chance to win one. Flash fiction. A very short story, up to 100 words, which most gorgeously, elegantly, poignantly, creatively, wittily or movingly (or any combination thereof) includes three ingredients in any proportion or combination: chocolate, fear and the written word. Any genre, any age-range. 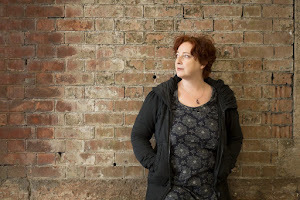 If you want some inspiration for what to write and you're in or near London, I happened to know that there are a few spots still available on the workshop prize-winning writer Vicky Grut is running on Sat 17th Oct: "The Paper Clock: Handling Narrative Time". Visit London Writing Workshops for more info. So, free books, chocolate and a workshop. All we need now is for someone to make the tea. Good luck to all! I am toughening up in the chilly English weather - there's me, in a coat, scarf and knee-high boots while around me, students stroll in T-shirts and flip-flops. I feel a bit mad. But... we joined an outdoor swimming pool for the winter!!! I can't quite believe it. It's three minutes walk from our house, and actually, it's very refreshing. The whole set up is a bit posh, the revamped Lido, with a glass-walled cafe overlooking the brave swimmers. Going from the pool to the jacuzzi, my body is saying, What? What? What? I'll get used to it. Not swum in the rain... or sleet... yet! So, onto business. So many lovely things have been happening to me that I have decided that it's time to Pay It Forward. The latest news is that my short screenplay adapted from my story North Cold is a finalist in the Waterford Film Fest's short screenplay comp, am off to ireland on Nov 8th to see if I've won.... and I'm a finalist in PANK magazine's 1,001 Awesome Words comp and will be published there. So, I'd like to return the karma. A few months ago I took Sue Guiney up on her offer to Pay it Forward: she sent me a beautiful gift in the post (her poetry play, Dreams of May, and a starfish pendant) in return for my promise to send a gift to three more people. Now it's your turn: I will send something to the first three people who comment here and promise to pay it forward too. Give me your email address if it's not on your blogger profile. Let's spread the love! So, 7 things? Ok: I used to have a piercing in my belly button; I speak English, Hebrew, French, German and a little Arabic; I wrote my first book when I was 6, a novel about triplets (unfinished and, fortunately, unpublished); I am right-handed but eat with my cutlery the "wrong" way round; I have a toe ring; I can hula hoop fairly well; I learned to do a headstand again at the age of 30-something. The Quack Doctor "a collection of panacean powders, pills, potions and pamphlets, as advertised in historical newspapers." Anam cara Writers and Artists Retreat - a creative blog about a heavenly place that nurtures creativity. Branta: The Might of Write lots of interesting writing-related "stuff"
So, don't forget - first three commenters who agree to pay it forward get a gift!